THE SARAJEVO ASSASSINATION JUNE 28, 1914 - "VIDOVDAN"
that the cafes were alive with Austrian spies. certainty who knew what, and when they knew it." June 28th is a sacred day in Serbian history. 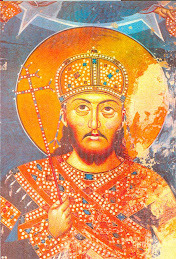 It is on this day, "Vidovdan", many years ago, that the Christian Serbs, under the command of their beloved leader St. Lazar, sacrificed their entire army of 70,000 men on the fields of Kosovo, fighting against the Ottoman Turks, the Islamic army that was pushing into the Balkans and into the heart of Europe. 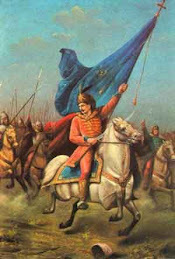 That was 1389, and the beginning of Turkish rule over the Serbs that would last five centuries. 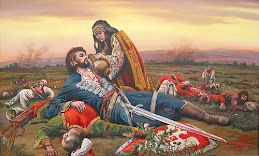 Just over five centuries later, June 28th would become a significant date once again, this time not only in Serbian history, but in the history of the world. 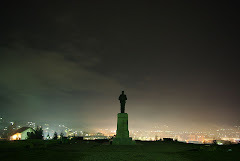 The morning of June 28th, 1914 dawned sunny and beautiful in Sarajevo, Bosnia. The early fog covering the Sarajevo valley dissipated early under the warm summer sun. Archduke Franz Ferdinand was here in Sarajevo in what was then Austro-Hungarian Bosnia. He had come for a visit with his wife Sophie von Chotkovato, a woman he had married out of love, despite the scandal the marriage caused, for she was not descended from the House of Habsburg nor was she related to one of the ruling families in Europe. Born in 1863, Ferdinand, the nephew of Emperor Franz Josef, was not intended to be the heir to the Austro-Hungarian throne, however, the intended heirs, the emperor’s son, Crown Prince Rudolf and the emperor’s brother, Carl Ludwig, Ferdinand’s father, both died while Franz Josef still ruled. With their deaths, Ferdinand would be the one to step into the role of Emperor once Franz Josef died. Destiny, however, would have it otherwise. 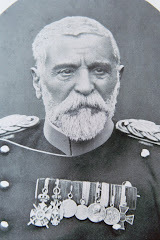 From early on, Franz Ferdinand devoted his life to the military, joining the Austro-Hungarian Army in 1883. He was promoted through the ranks and became general in 1896. 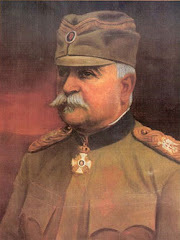 In 1913, he became the Inspector General of the Austro-Hungarian Army. 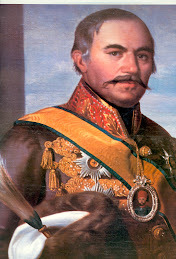 He was well-liked by his men, and though he promoted the modernization of the military and stretching the Empire’s power to extend over the seas by way of naval expansion, he was not a warmonger like others in the House of Habsburg. 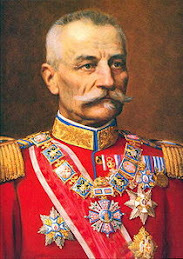 The Governor of Bosnia-Hercegovina, General Oskar Potiorek, thought that the summer of 1914 would be a fine time for Ferdinand to visit the two Austrian provinces. The troops would be on maneuvers. Ferdinand agreed to the visit, but only after being assured by Potiorek that Dutchess Sophie would be treated hospitably and that she would be made to feel welcome there. How his wife would be treated was not his only concern, however. The Archduke was very aware that there were dangers inherent in this trip he would be making to Bosnia. 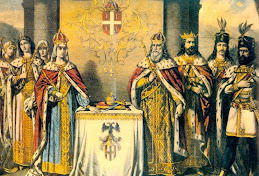 The Serbs had not hidden their hatred of their Habsburg rulers. 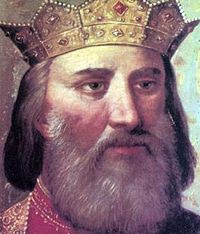 Those who wanted an independent Serbian state free of Austrian rule and who dreamed of a union between Bosnia and Herzegovina and Serbia were wary of Ferdinand’s plans to grant concessions to the South Slavs, because this could undermine the movement to create an independent Serbian state. The Serbs didn’t want concessions. 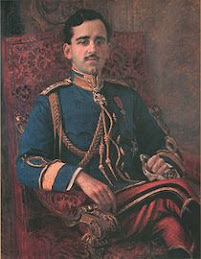 Colonel Dragutin Dimitrijevich (also known as "Apis"), the chief of the Intelligence Department of the Serbian General Staff, saw the future ascendancy of Ferdinand to the Austro-Hungarian throne as a serious threat to the Serbian dream, and after centuries of that dream being subverted by one dictatorship after another, it was time to throw off the yoke once and for all. The plans for Ferdinand’s visit to Bosnia in June of 1914 were officially announced. The plans for his assassination began immediately afterward. Three young men, boys actually, would be sent by Dimitrijevich to Sarajevo to make sure that this visit to Bosnia would be the Archduke’s last. Nedeljko Cabrinovich, Trifko Grabez, and Gavrilo Princip were all Austrian subjects from Bosnia, members of the "Mlada Bosna" ("Young Bosnia") group, and later members of the “Black Hand” (“Unification or Death”) organization. 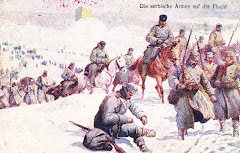 For Bosnia and Hercegovina to be free of the rule of the Austro-Hungarian Empire was a core goal of this group and now it was to be achieved by whatever means necessary. 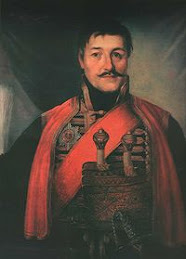 The Prime Minister of Serbia, Nikola Pasic, was informed of the plot by Major Voja Tankosic, without Dimitrijevich knowing that Tankosic was going to do so. 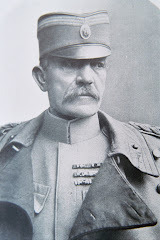 Pasic immediately recognized the potential consequences of such an act, and although he shared the group’s yearning for a unification of Serbian lands and freedom for the Serbs, he didn’t want war with Austria-Hungary in order to achieve that goal. He gave the order that Grabez, Cabrinovich, and Princip were to be arrested upon any attempt to cross the border of Serbia into Bosnia. The men did cross. No arrests transpired. The three became nine as Danilo Ilic, Vaso Cubrilovich, Misko Jovanovic, Muhamed Mehmedbasic, Cvjetko Popovic and Veljko Cubrilovich joined them. After arriving in Sarajevo, the Archduke and the Duchess were on their way to City Hall for a royal reception. It was around 10:00 a.m. on this fine June morning. The car they were traveling in, the second in the procession, had its top rolled back so that the visitors and the crowds that had come to watch had a good view of each other. In the crowd were the nine young men who were waiting with special anticipation. None of them had reached their twentieth birthday yet. There was the first attempt. This one was not successful. A hand grenade was thrown by Cabrinovic but it missed its target, exploding instead, behind the royal car. Though people were seriously wounded, no one was fatally hurt. The procession continued, reaching City Hall without further incident. After the reception, the Archduke insisted on making a visit to the hospital to see those in his party that had been wounded. He was warned by a member of his staff that this was not a good idea. It was obviously dangerous for him to be out among these crowds, but he was not to be dissuaded, nor was his wife, Sophie, who declared that she would not leave his side. 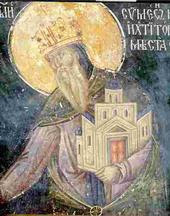 Potiorek acquiesced to the concerns and made the decision to avoid going through the center of the city on the way to the Sarajevo Hospital. They would take the route along the Apple Quay instead. The driver, however, was not told by Potiorek about the change in plans to take the safer, less conspicuous route. When the driver turned right onto Franz Joseph Street instead of going straight along the Appel Quay, Potiorek panicked. The driver slowed the car and put it in reverse, seeking to back up. But there on the corner waiting was Gavrilo Princip. He drew his gun and fired. And kept firing until the bullets were expended. Franz Ferdinand and his beloved Sophie would die from their wounds a short time later. The Germans were immediately notified. The Kaiser was out enjoying himself on the seas when he got the news. The response was immediate. It was as though that corner of the world was just waiting for the right moment to come along. The “right moment” came in the matter of a few short hours on a warm, sunny summer day in June in Sarajevo. Perhaps this British civil servant was expressing a hopefulness that nothing more would come of it. Perhaps he was issuing a warning. Whatever the case may have been, and whatever the tone of his communication, it would turn out that his trust in there being ‘no further complications’ was naïve. Despite all their “war planning” in the preceding several decades, no one could possibly have conceived of just where ‘the complications would lead’ in just a matter of a few short weeks in the summer of 1914. 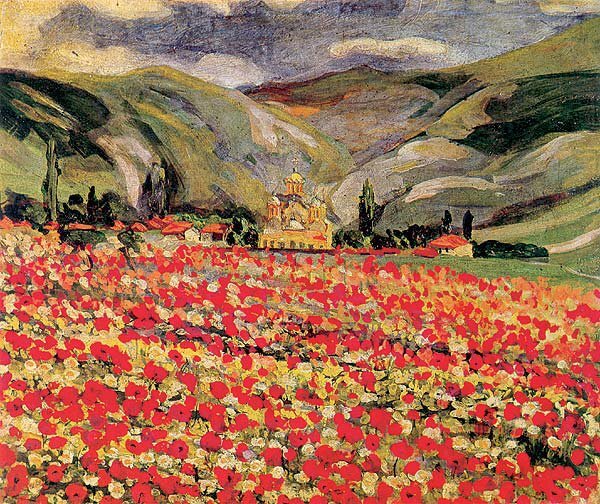 June 28th, 1914 was the day that everything would change, not just in Sarajevo, Bosnia, not just in the Balkans, not just in Europe and beyond, but in the world.